Love at first sight. It's okay to admit it... don't lie to yourself. 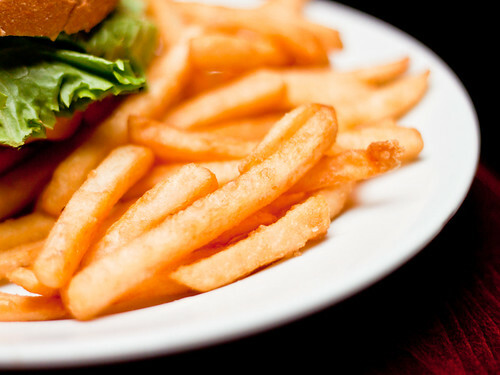 The thing is, Race Street Café never really shows up on anybody else's favorite burger lists. You get your usual suspects of Village Whiskey, Good Dog, Monk's Café, etc. - which is really a shame since for the most part, they all pale in comparison imho. I've had all of them... and even if I'm nitpicking, there was something wrong with every single one of them. If you asked me what was wrong with this burger, I would be speechless. Probably because I was too busy ignoring you while shoving gigantic bites of burger in my mouth. What's messed up is that the burger isn't even the best thing I ate there. It was the garlic mayo. Disgustingly enough, if you told me I could buy a bottle of their house mayo and squirt it into my mouth like some deranged fat kid... I would. Inevitably I'd end up spraying some on my clothes, but you know what? I wouldn't even bother cleaning it off. I would relish the opportunity to walk around town smelling like a garlic and fat-based emulsion. It'd be pretty boss. I know what you're asking... "but wait! What about the picture of the fries... how are they!?" Answer - they're just there to sop up the garlic mayo. Fact. Anyway, I know what I'm doing next time... I'm slathering the mayo all up inside that burger. Oh god, what a mighty sandwich that'll be. 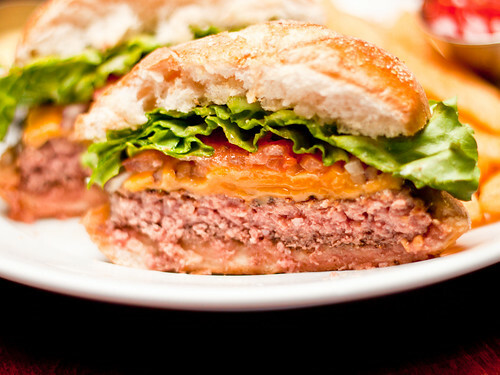 Race Street Café is home to one of... no, my favorite burger in Philly. The only downside is that you'll leave covered in burger "love juices" and speckles of mayo all over yourself. No amount of shame would stop me from going back though. I said it on SE, but I'll say it again - Race Street is one of my favorites. And that garlic mayo is SO good! I'm definitely guilty of adding it to the burger and yes, it was spectacular. ah... so how does it compare to burgers in New York? It's unlikely that I'll be in Philly so is it better than some of what we got here? sarahdares - Nat. Mechanics is close (geographically), but not really when it comes to burgers. Danny - beats the pants off Spotted Owl and Beacon Bar... both of which I hold in high regard when it comes to NYC Burgers (non-minimalistic West Coast kinds anyway). I'd take this over SS... the garlic mayo does it. 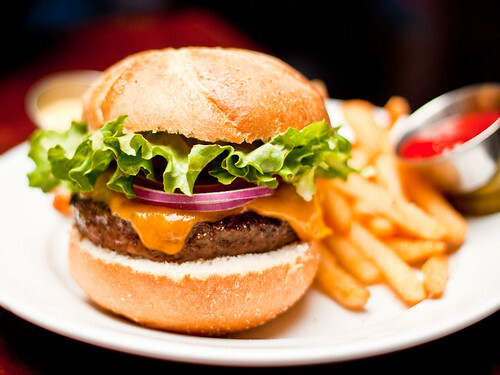 Nic, don't be tempted to eat the Roquefort Burger with the shoestring fries at the Spotted Pig when you move to NYC. It's overrated, i promise you! Shirley - d'oh, I subconsciously combined Spotted Pig with Little Owl (and yes this burger is better than either). Anonymous - haha good thing that such a bird actually exists right? hannahsmin - yep, I've been... the burger at Rouge is basically the same as the one at 500 Degrees, admittedly a bit heftier (size and price tag). It was good. Sounds yummy! The pictures are awesome! Will try it next time when in town.